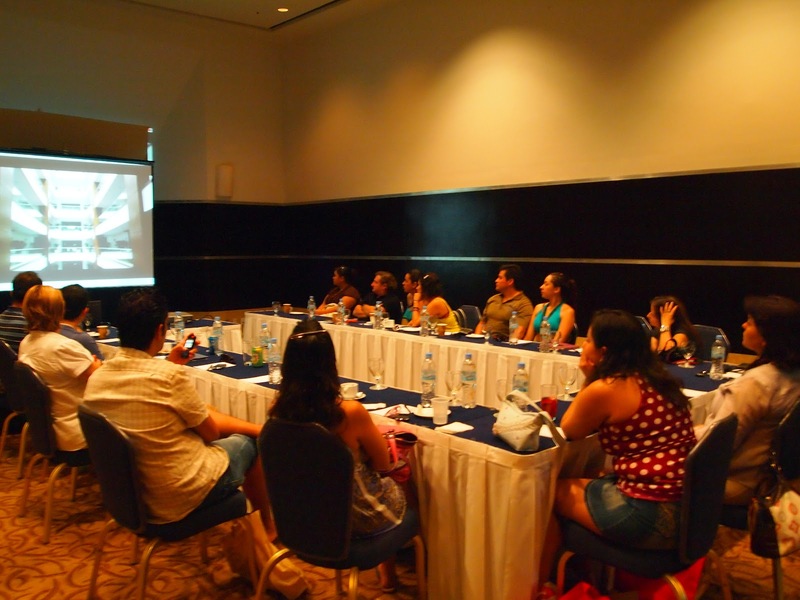 In Riviera Nayarit luxury is our nature, and representatives of some of the largest travel agencies in the country rocked here on September 7 – 10, when the Hard Rock Hotel Vallarta, together with Volaris, hosted an event-filled familiarization trip. Representatives of Carlson Wagonlit, Viajes Integrales, Intermeeting, BDC Travel, Smash Events, Más Expos, Sanborns, Sears and BTC Americas learned about the advantages of vacationing in Riviera Nayarit, and enjoyed the concept of the Hard Rock Hotel in the beaches of Nuevo Vallarta. The Convention and Visitors Bureau (CVB) of Riviera Nayarit also offered a presentation of our destination and its more than 180 miles of beaches, where traditional Mexican towns located amidst beautiful natural settings are the perfect frame for a high-end touristic infrastructure. To directly influence travel-related companies (travel agencies, wholesalers, tour operators), who are the first contact in the hard sell with potential visitors, we work constantly to show the available tourist offers in our destination to this important link in the industry, providing them with the competitive advantages of visiting our destination, and arguments that will convince and influence the purchase decision of customers in favor of Riviera Nayarit. Supporting familiarization trips like this one planned jointly by the Hard Rock Hotel and Volaris is part of our promotion strategy, which seeks to attract more tourists to the region and improve the economy of all the people in Nayarit.